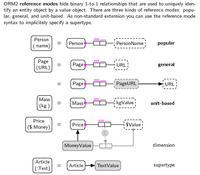 tkz-orm is a LaTeX package to draw Object-Role Model (ORM) diagrams. 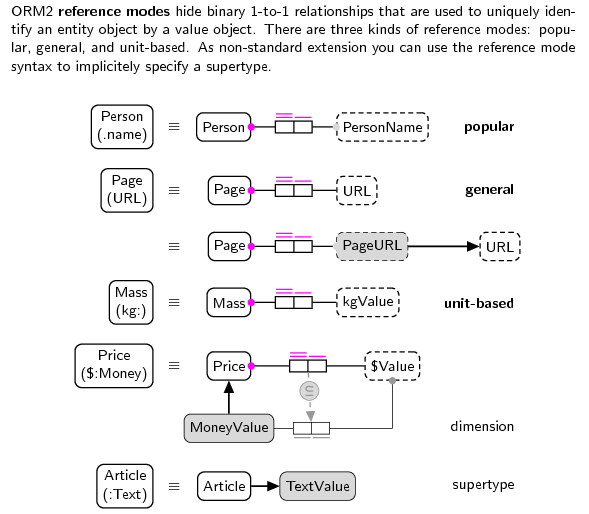 With tkz-orm you can “program” ORM2 diagrams just as you “program” your document when you use LaTeX. 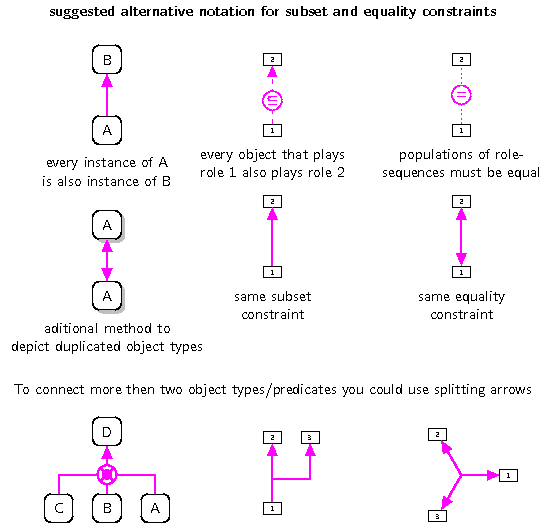 tkz-orm is based on the pgf and TikZ graphic system for TeX. See tkz-orm.pdf for a documentation of tkz-orm. The latest package release is available at CTAN. See the file README for installing instructions. The lastest development version can be downloaded in either zip or tar formats. Source files are included in the examples directory. Contributions are welcome! Feel free to fork tkz-orm — as specified in the LICENSE file you can select the GPL, the LPPL or both. The documentation is also available under CC-BY-SA and GFDL.